All applicants must be the appropriate age by September 30. 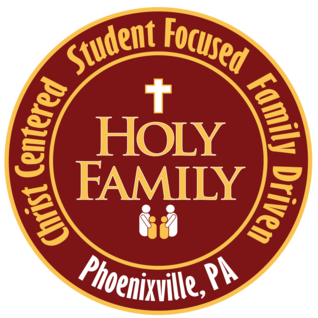 Holy Family School admits students of any race, religion, color, national and ethnic origin. All Catholic families should be registered contributing parishioners of one of our three parishes: Saint Ann, Saint Joseph and Saint Mary of the Assumption. Non-Catholic students must commit themselves to the study of the Catholic religion, must fulfill all the requirements of the subject, and must attend all religious functions offered as part of the school program. Their parents must commit themselves in writing to accept and to promote the philosophy, goals, objectives and regulations of the school and assume responsibility for all financial obligations as specified by the pastoral board.